Hereby I would like to start a small series of articles describing the elements of the optimization of Solr instances. At first glance I decided to describe the parameter that specifies the data fetch window size – the query result window size. Hopefully, this article will explain how to use this parameter, how to modify and adapt it to your needs. To start talking about this configuration parameter, we must first say how Solr fetches results from the index. When passing the rows parameter to Solr, with the value of 20 for example, we tell Solr that we want the result list to contain the maximum of 20 documents. However, the number of results, which was taken from the index varies and is determined precisely by the queryResultWindowSize parameter. This parameter, defined in the solrconfig.xml file, determines how many results will be retrieved from the index and stored in queryResultCache. But what can I use queryResultWindowSize for ? 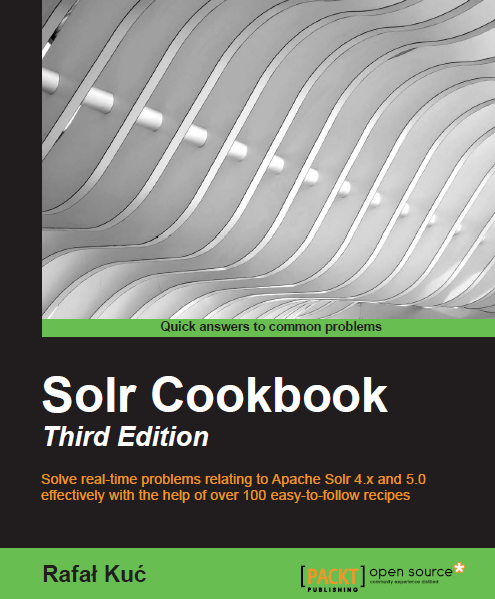 will result in a maximum of 30 documents in the search result list, however Solr will fetch 100 documents from the index (starting at index 0 and ending at index 100) and then try Solr will place them in queryResultCache. The next query, which will differ only in the parameters start and rows can be retrieved from queryResultCache. Of course, setting only the queryResultsWindowSize is not everything. You should still provide adequate space in queryResultCache for Solr to be able to store the necessary information. However queryResultCache configuration is a topic for another article. But why use it ? The answer to that question is quite simple – if your application and your users often use the paging it is reasonable to consider changing the default value of the queryResultWindowSize. In most cases, where the implementation was based on paging, changing the value of this parameter caused a severe increase in performance when switching between query pages of the results.